Mile-A-Minute Vine (Polygonum perfoliatum) thinks it has permission to grow anywhere. The Connecticut Invasive Plant Working Group does not concur. Last summer the group dispatched 2,000 weevils, and today “the leaves look like Swiss cheese,” says Donna Ellis, co-chair of CIPWG. Read more about their success here. In the search for tools to fight the Purple Loosestrife (Lythrum salicaria), naturalists began importing galerucella beetles from Europe. Scientists have found that Galerucella beetles eat only Purple Loosestrife, and the animal was approved as a control organism in the United States since the 1990s. Read more and/or listen to audio here. 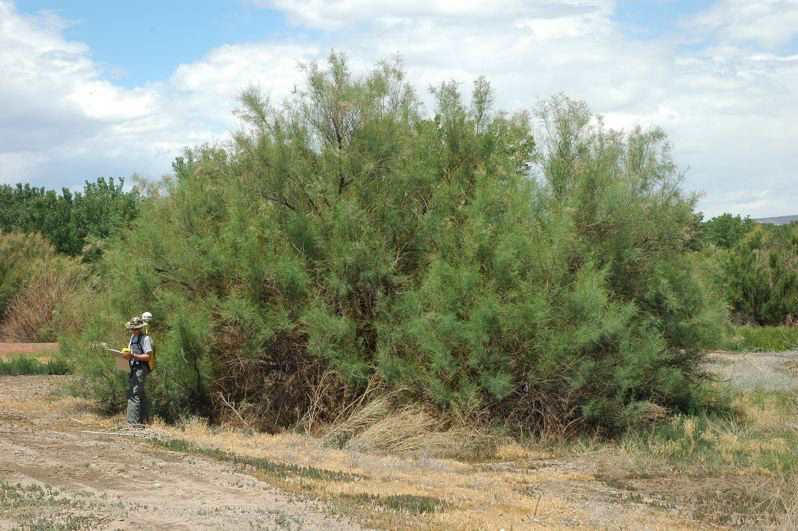 Tamarisk (Tamarix spp., aka Salt Cedar), a non-native invasive shrub spreading throughout the American Southwest, has been judged to be no greater usurper of water than its native counterparts while still offering nesting habitat, so a program to introduce the Tamarisk Beetle (Diorhabda spp.) 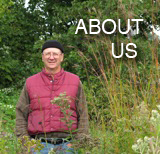 to set back the shrub has been halted by the U.S. Department of Agriculture. The decision affects bio-control efforts in 13 states. Read about the origins of the program here, and read the June 20, 2010, update here. Update: See also editorial from June 27, 2010, Durango Herald here. Update: See also editorial from July 12, 2010, Grand Junction Sentinel here.